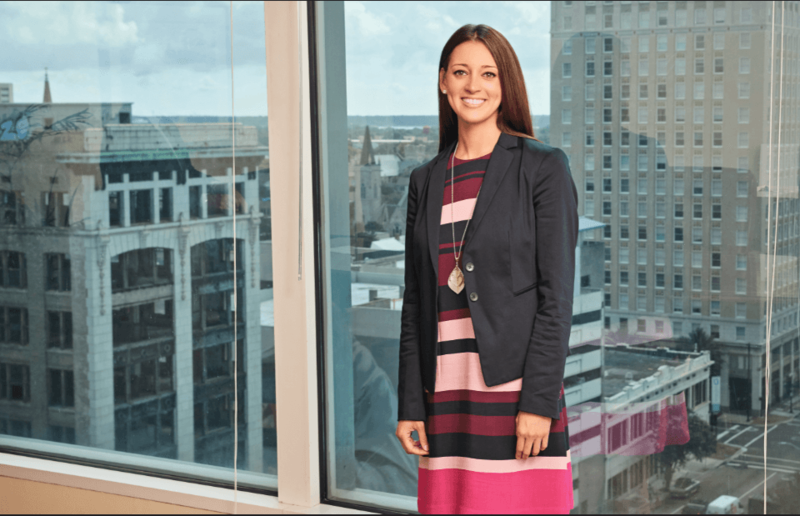 Attorney at Law Magazine Jacksonville Publisher Tom Brady sat down with Ashlea A. Edwards to discuss law school, the culture at her firm and what she hopes to accomplish this year. Edwards: I am a first-generation attorney and really had no exposure to the law until college. At LSU, the paralegal certification caught my eye. Once enrolled in the program, I had the opportunity to work in the criminal division of the Louisiana State Attorney General’s Office, which was my first practical experience with the law. It wasn’t until I worked as a paralegal at a personal injury law firm in Texas that I developed my love for the law and the clients that we represented. I worked as a paralegal for two years and was encouraged by the managing attorney to pursue law school. The rest is history! Edwards: Law school was the first time that I was able to gauge my potential and began to believe in myself. I learned that with hard work, preparation and a passion for what you are doing, you can accomplish a lot. For example, in law school I made the conscious decision to focus on practical experience that would improve my public speaking since I had always been shy. My hope was that the more I was exposed to public speaking the better at it I would become. I advocated in both moot court and mock trial competitions where I was a semifinalist and eighth best advocate in the National Appellate Advocacy Competition and a finalist in the National Latino Moot Court Competition, where I was able to advocate before a former and current Texas Supreme Court justice. While competing, I learned that being the most prepared person in the room removed a lot of my nerves. Edwards: I know it seems trivial, but my communication with opposing counsel has taught me a lot. Although our system is adversarial, we don’t have to treat opposing counsel as the enemy. There is a way to be professional and kind and still aggressively advocate for the client’s interests. The attorneys that I have worked with who are uncooperative and unreasonable don’t further the case anymore than those that are courteous; in fact, it seems to have the opposite effect. Edwards: GrayRobinson is a full-service law firm with offices all over the state, where I knew I could gain practical civil experience. Additionally, the firm’s reputation of professionalism preceded itself. I’ve always strived to be the most professional and prepared person in the room so that I could zealously advocate for my client. GrayRobinson was a place that I believed I could grow and foster my passion for advocating in civil matters. Years later, the same still holds true. I initially became involved with Gray- Robinson as a legal intern during the fall semester of my 2L year. I applied and was accepted as a summer associate during my 2L summer and was ultimately offered a job as an associate attorney. Although there are other specialized associates, I am the only general commercial and civil litigation associate in the Jacksonville office, which means that I have to constantly change hats throughout the day. I love working on a variety of matters with a variety of partners because I am able to gain exposure to different styles and areas of practice. 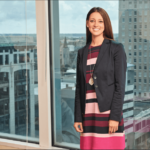 Edwards: GrayRobinson’s Jacksonville office has an amazing collection of people who have quickly become my quirky little family, which plays heavily into my perception of the office culture. With this in mind, the office culture is a good balance of hard work, professionalism, collaboration and dedication to furthering the best interests of the client. 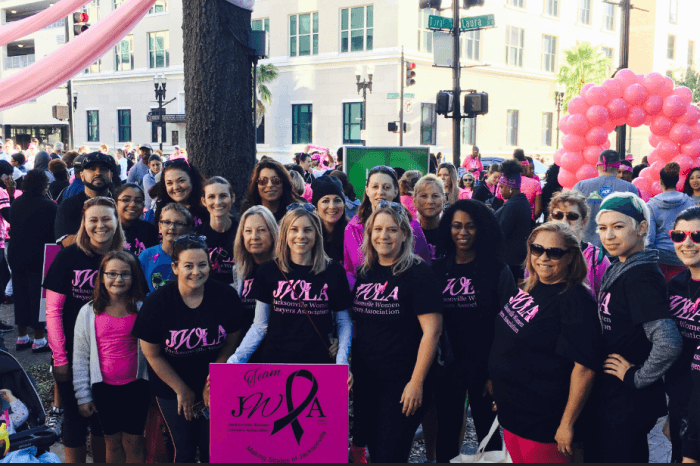 The office emphasizes a healthy work-life balance, which comes in the form of challenges from our wellness committee, bi-weekly charity drives, and monthly birthday celebrations. This well-rounded focus allows for hard work without outside extraneous pressures that so often exists in our profession. AALM: Are there any flaws in the legal profession that you see? If so, how would you fix them? Edwards: Candidly, there is not enough of an emphasis on mental health. I was previously a suicide prevention counselor and mental health is something that is near and dear to my heart. So often in the legal profession, attorneys lose sight of healthy work-life balances and fall prey to stress or anxiety, which may affect them on both a personal and work level. I am a big believer that an attorney must maintain their mental health in order to effectively assist clients and others around them. Because symptoms can appear differently in individuals, it is important that we as attorneys educate ourselves to recognize potential mental health problems in not only ourselves, but in those around us. As a profession, we should encourage a healthy work-life balance and promote awareness, education and treatment of mental health issues (despite the stigma that sometimes exists). I’m not sure this provides a complete remedy, but I think it’s a good start. Edwards: My recent trial experience has significantly affected my practice. My first trial participation as an attorney was in February of this year. I assisted the partner in preparing the client, working with expert witnesses, preparing exhibits, drafting pre-trial motions and jury instructions, communicating with opposing counsel, during which I fell in love with the trial work. I have since assisted in two other trials this year and look forward to any future trials. Edwards: Outside of work, I enjoy running and recreational reading; although, the latter has almost completely been replaced with case law. Running has turned into almost a meditative experience for me, which really helps with the stress that sometimes accompanies work or personal life. I have recently joined a book club, which I’m entirely too excited about (I know, nerdy). I am also passionate about animals of all shapes and sizes. I would adopt a shelter full of any animals if I had the resources. Over the years, I have rescued numerous dogs and even a guinea pig (that I like to call my street guinea pig). Currently, I have two dogs: Izzie, a 9-year-old bayou mutt, and Gus, a 1-year-old West Highland terrier. Both dogs keep me active at the beach and smiling. Edwards: I am a newly elected fourth circuit representative and board of governor for the Florida Bar’s Young Lawyer’s Division (YLD). I have seen the amazing work the YLD has done in the past year and I am excited to be a part of their positive momentum this year. Personally, my maternal grandmother will be turning 80 this year and I’m glad I get to spend it with her at her surprise party!